If you have a 40 by 80 foot Mystique tent, and the poles and stakes are damaged or worn out, you can order new supports without having to purchase an entirely new tent. With these replacements, you can provide a stable replacement for old poles that are no longer functioning correctly. 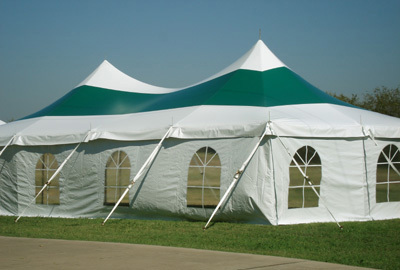 Having the right poles helps you keep your tent up on windy days, and keeps your tent safe in all weather conditions. These poles are made of high quality materials that allow the poles to stay straight even when strong winds blow against the tent.